The Only Kind of 'Coal' You'll Be Happy To Find In Your Stocking This Christmas! No one wants to find coal in their stocking at Christmas, unless of course it’s a bottle of Red ‘Cole’ (red cole is the 18th Century word for horseradish) infused Thomas Dakin Gin! 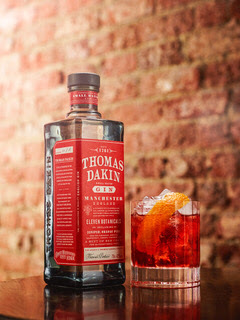 Thomas Dakin Negroni - Start your evening right with this classic cocktail, the perfect balance of sweet, bitter and herbal. 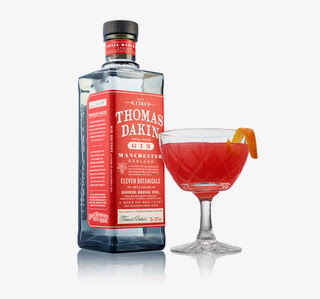 Combine Thomas Dakin Gin, Campari and Sweet Vermouth in a mixing glass. Strain into a rocks glass, garnish with an orange peel. Dakin’s Cosmopolitan - Dakin’s sophisticated twist on the iconic Cosmopolitan recipe is a harmonious blend of sweet, citrusy flavours. This exciting tipple will certainly please your guests. Chill a large Martini glass with ice and remove. Combine all ingredients in a cocktail shaker and shake hard with ice. While pouring into the glass, use a strainer to remove any bits from the marmalade. 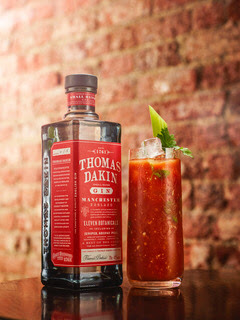 Dakin’s Red Snapper - Revive the weary the morning after with a Red Snapper cocktail (Dakin’s take on a Bloody Mary). Dakin's punchy savoury botanicals and a dash of spicy Tabasco make for the perfect post-party pick me up so the festivities can continue! Combine and stir all ingredients over ice. Serve in a chilled hi-ball glass. Garnish with sprig of coriander, stick of celery and ground black pepper. 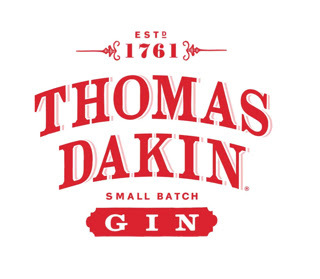 A bottle of Thomas Dakin Gin makes a great gift for the man or woman in your life. Named after the forefather of English gin, the punchy savoury botanicals including red cole (horseradish) and English coriander give this gin a kick and the apothecary style bottle looks as good as the content tastes!